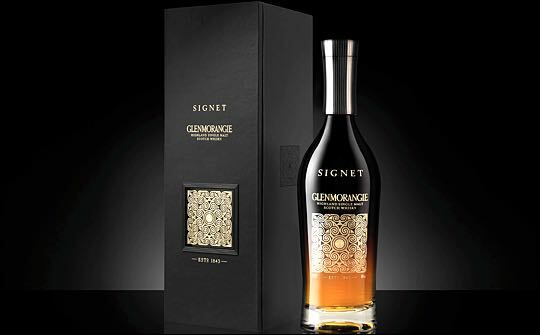 ButterflyCannon has redesigned the secondary packaging for Glenmorangie Signet single malt. The challenge was to effectively communicate Signet’s unique provenance and product story to consumers. A rigid board box with a seamless, frontwards opening door, allowing the beautiful Signet bottle to be showcased in the way it deserves, is wrapped in matt black, soft touch Skivertex Matara stock from Winter and Company, chosen to reflect the richness and smoothness of the liquid within. Inside the pack, bespoke illustrations communicate the liquid’s provenance. 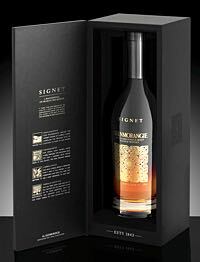 Glenmorangie’s Signet was given special attention on the pack. Rich with layers of intricate detail, the Signet was printed onto a ceramic tile, giving it a cold, crisp tactile quality.